If you get this message and error code, it means that your console is looking for but can’t find a previous version of the update that you’re trying to download. Download the system update that corresponds to the error message and code that you got. Remove all console storage devices, including any USB flash drives, external hard drives, or the internal hard drive on the Xbox 360 S console. Locate the hard drive cover release (near the back on the right side of the console). Plug the USB flash drive with the update into a USB port on the console. Unplug your modem from your router. 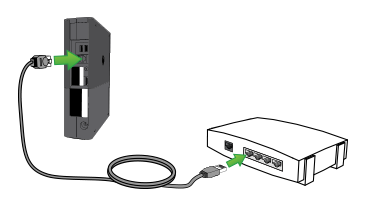 Using a standard Ethernet cable, connect your console directly to your modem. This will enable the update to bypass your router’s firewall. There should be no other devices plugged in to your modem. Disconnect your console from your modem. Reconnect your modem to your router and your console to your router. Would you like to contact Support regarding the "Error xxxx-3143-xxxx-xxxx-xxxx-xxxx occurs when you try to download an Xbox update on Xbox 360" issue you were reading about or a different issue?